Severino has been chosen to start the season opener. 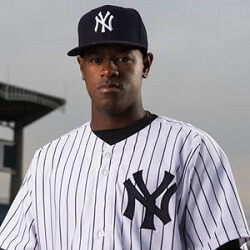 Just one year after joining the cream of the crop in the American League Cy Young Award race, Luis Severino has been selected to start the season opener for the Yankees game on the 29th of March against the Blue Jays. Aaron Boone, manager for the New York Yankees, made the announcement on Saturday. Boone stated that it was felt that it was Severino’s time to do it. He added that, in light of what Severino was able to accomplish last year, it was felt that he was in a good place now, and that him taking on the role would be a good idea. Boone added that he was looking forward to watching Severino grown in his new role as an ace on the staff. Masahiro Tanaka, the right-hander, will start the season’s second game, and will be followed by left-hander CC Sabathia and right-hander Sonny Gray. Left-hander Jordan Montgomery will be starting the home opener for the Yankees game against the Rays on the 2nd of April. Tanaka, speaking through an interpreter, said that he thought it was well-deserved for Severino, especially as everyone knew how he had pitched last season. Tanaka said he agreed that with Severino starting, and added that it was good to know exactly when he himself was pitching as the season began so that he could schedule himself accordingly. Severino, at 24-years old, finished in third place in the Al Cy Young Award race, coming in behind Corey Kluber of the Indians, and the Red Sox’s Chris Sale. 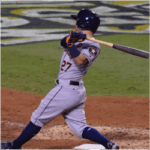 Astros Beat Dodgers to Level World Series Any hopes the Los Angeles Dodgers may have had of sweeping Major League Baseball’s 2017 World Series after their Game 1 victory against ….